Styled in fabric as soft as suede, these knee-grazing boots from Yeezy feature a pointed toe and rubber-coated high heel. We love how they look combined with skirts of all lengths or showcased on skinnies. 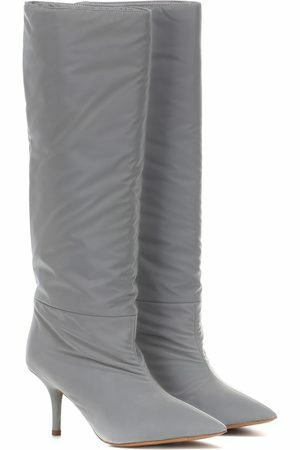 Season 7 Thigh High Boots in .